Prince George’s County Firefighter/Medics assigned to the Landover Hills Fire/EMS Station were surprised to find a hand-written note pinned to the stations information board a few weeks ago. The anonymous note identified a family living nearby requesting a gift for the family’s daughter. The Firefighter/Medics discussed the request and decided to do whatever they could to make this Christmas wish a reality. Each and every person assigned to the station contributed his or her own money to purchase Christmas gifts for the 9-year-old girl. The note had listed the mothers name and cell phone number. The mom was contacted and personnel obtained several gift ideas for the girl. There were enough funds donated to purchase a Nintendo DS Lite and games, a doll, jacket and some drawing items. The items were dropped off at their home to be opened on Christmas Morning. In this case Santa was not wearing red, Santa wore a blue work uniform and a Prince George’s County Fire/EMS Department patch on the shoulder. 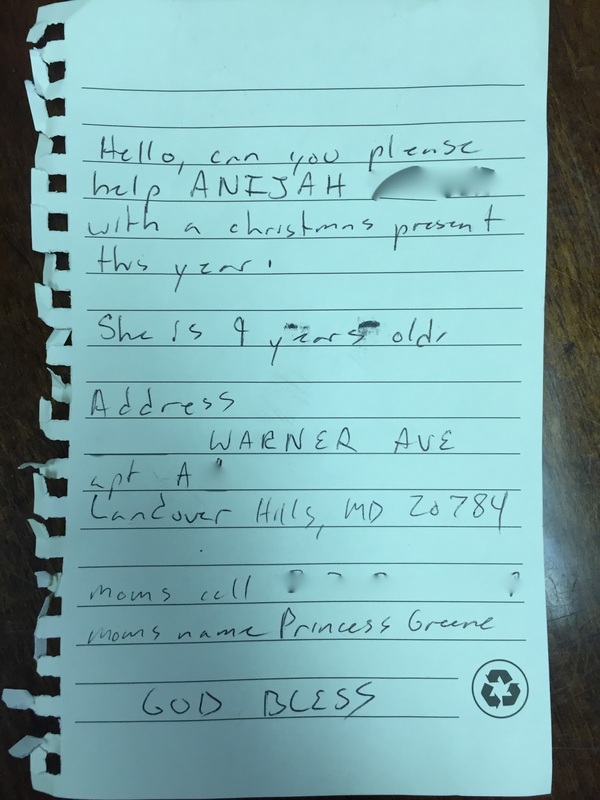 The hand-written note left at the Landover Hills Fire/EMS Station seeking assistance. 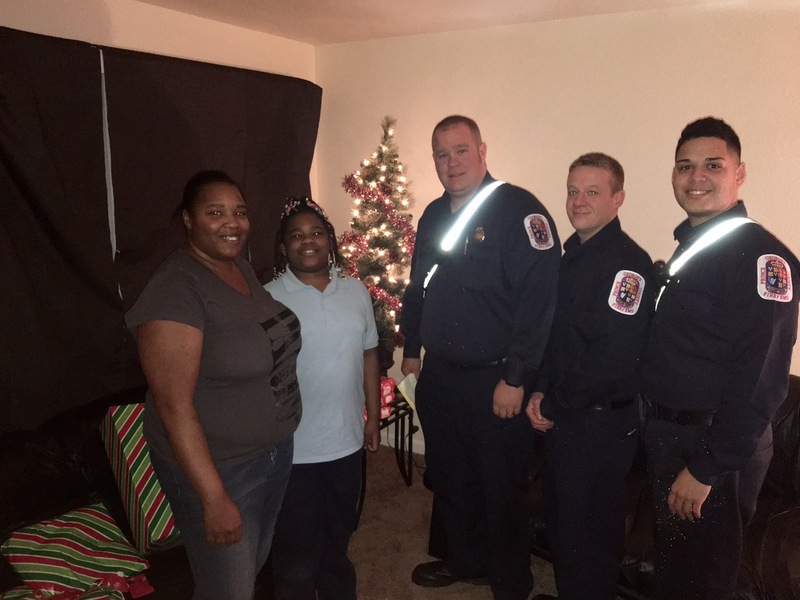 Firefighter/Medics representing all the personnel assigned to Landover Hills station paid a visit to the family recently and left a package to be opened on Christmas Day.